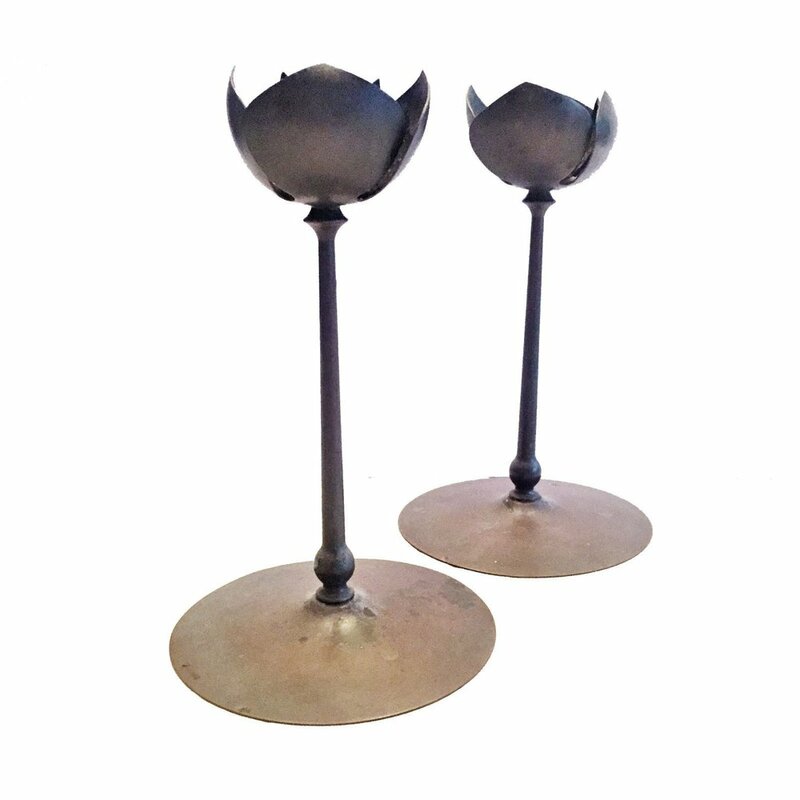 This pair of elegant floor candle holders of anodized iron, exquisite for its minimalist design and magnificent execution, fully combines the ancient Japanese Zen traditions and the worldwide modernist trends of the 1960s. 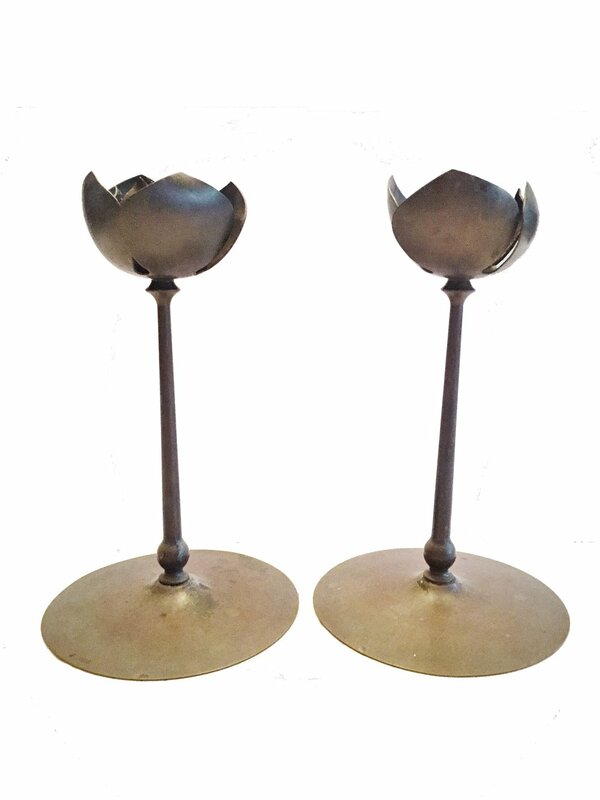 A duo of anodized brass candlesticks, each featuring a round base, stem and a lotus flower that contains a regular size candle. Manufactured in the USA during the 1960s. 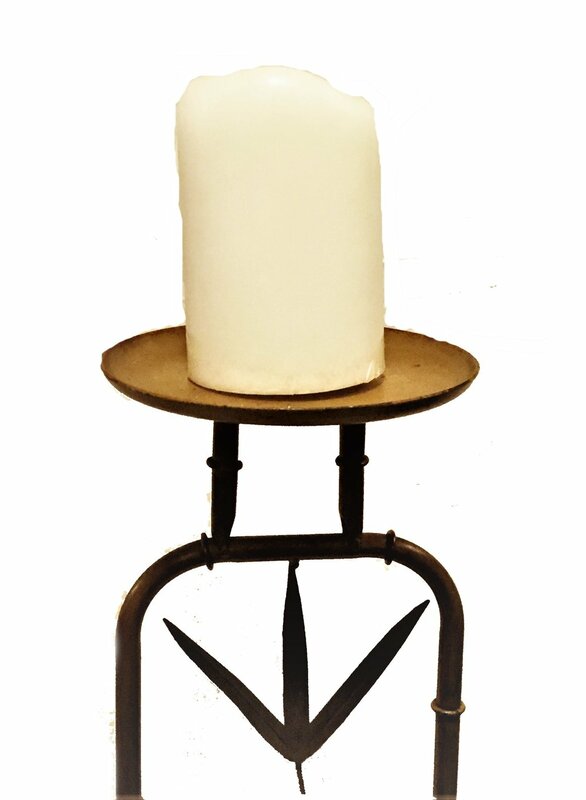 The candlesticks are unpolished, bear the original vintage patina, and remain in excellent original vintage condition consistent with age and use. - 84° Russian Silver Standard hallmark (before 1917) for 875/1000 silver purity. - Silversmith's hallmark in Cyrillic "ИБ"("IB" in English) is for Ivan Bednyakov. - A town hallmark is of the city of Voronezh in form of the city coat of arms with a double-headed eagle and a capsized vessel with water, flowing out of it. 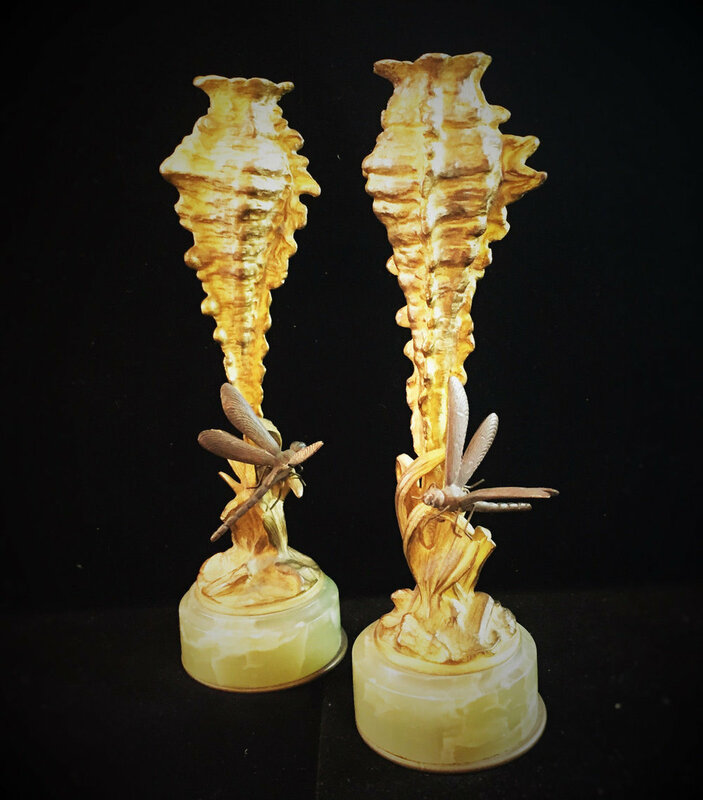 - Assay master's hallmark in Cyrillic "BO" ("VO" in English) is for Vasiliy Osipov. 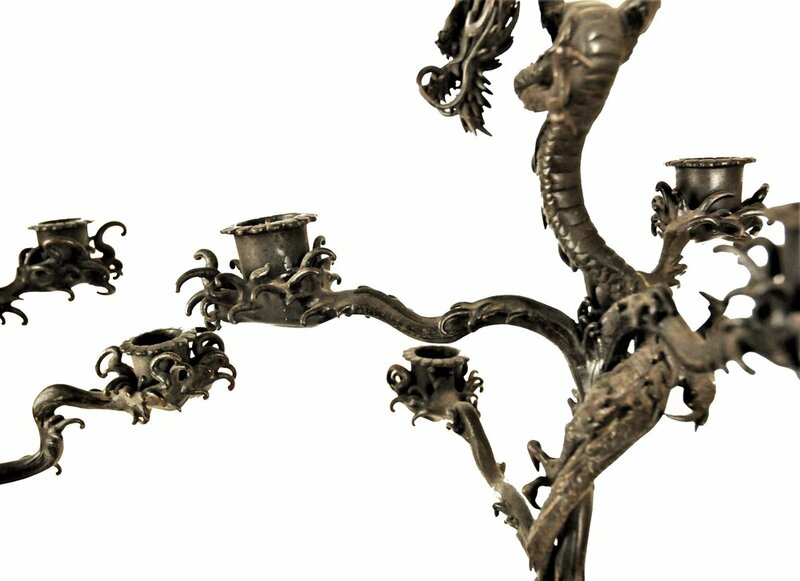 There are few techniques that offer such diversity of expression, such as a metalworking technique of Repoussé or repoussage (French) in which a malleable metal is ornamented or shaped by hammering from the reverse side to create a design in low relief. Chasing is the opposite technique to repoussé. While repoussé is used to work on the reverse of the metal to form a raised design on the front, chasing is used to refine the design on the front of the work by sinking the metal. Both techniques are used in conjunction to create a finished piece. It is also known as embossing. The process is relatively slow, but a maximum of form is achieved, with one continuous surface of sheet metal of essentially the same thickness. 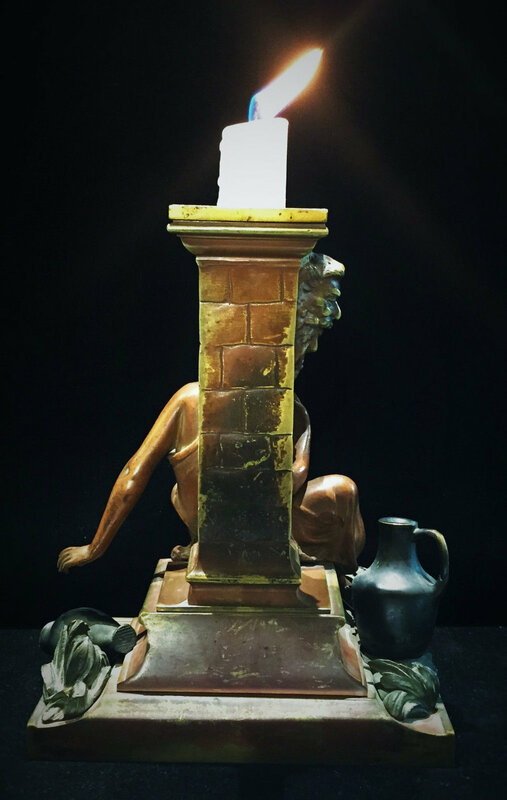 Made of multi-colored patinated & ormolu bronze in the second half of the 19th century France, this absolutely fabulous stationary figural candle holder was probably intended to embellisha gentleman's desk, judging by the plot of the depicted scene where a beautiful, half-naked girl who came to the fountain to get water, in a day-dreaming state did not even notice as one of her pitchers fell to the ground and smashed; of which the inscription engraved on the gilded medallion in the center of the plinth is informing the viewer; and which serves as the name of this remarkable sculpture - "La Cruche Casee" ("The Broken Jug"). 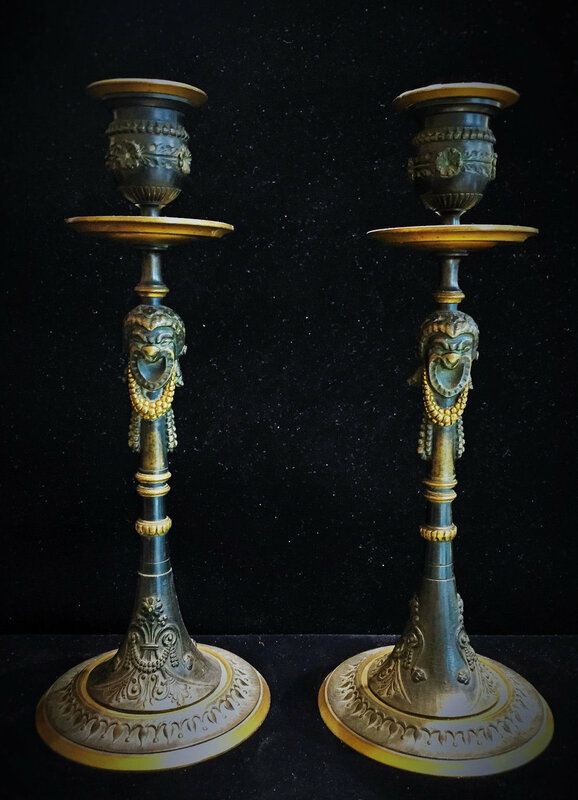 These 19th Century candle holders are a fine example of the style that was domineering in the applied arts during Napoleon III reign in France i.e. Second French Empire - the period between the Second and the Third Republic. 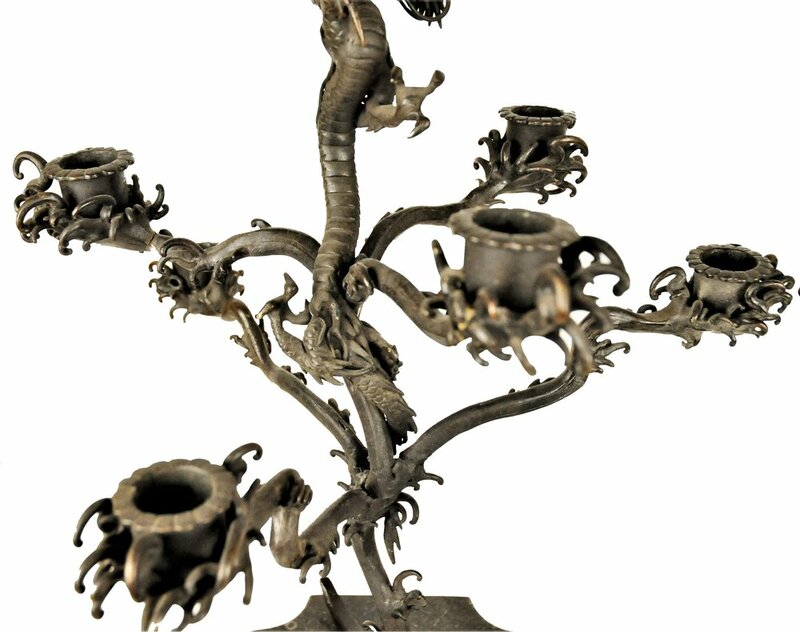 The Bonapartist regime of Napoleon III that lasted from 1852 to 1870 and had developed a certain style in arts, easily recognizable in the decorations of these wonderful candle holders - they feature Greek mythological heads, a very popular Empire-style decorations. 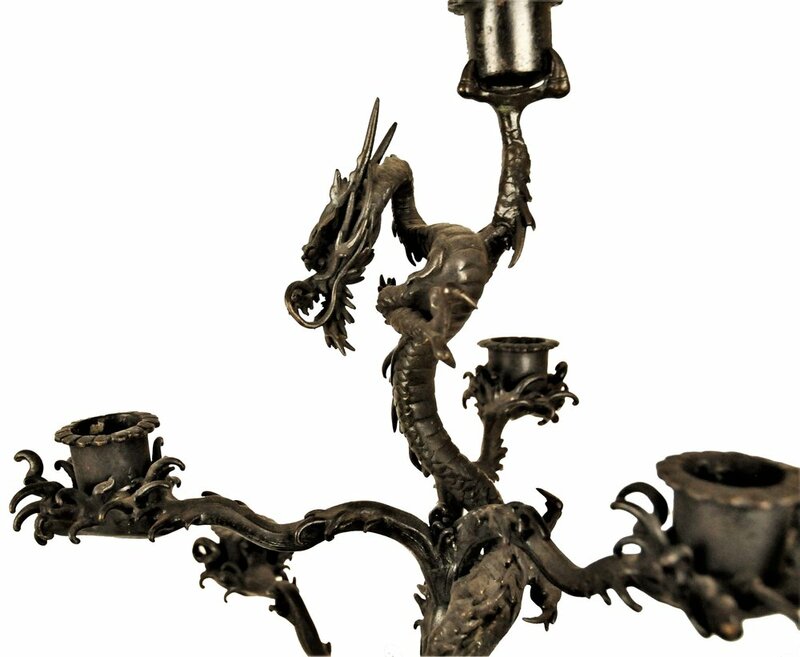 Made of black-patinated bronze, only a few details are gilded to accent their truly elegant shape.